Anyone who has encountered a date on a decorative door lintel, an obscure rainwater head, or an imposing plaque will understand the fascination such a direct link to the past can bring. There are a remarkable number of dated inscriptions in Wiltshire. In the north of the county alone are over 500 examples on Listed Buildings, and there are many more on non-listed structures. 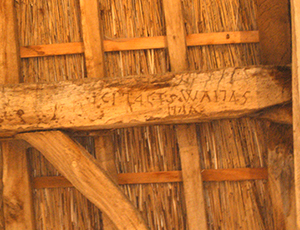 Date inscriptions, frequently linked to initials, often commemorated the erection of the building. 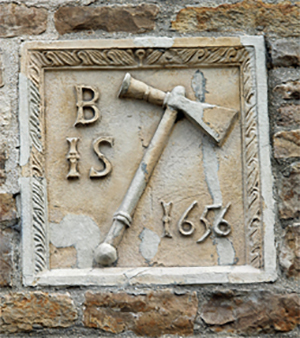 Initials belonged to the builder or owner; in some instances, the owner was a large Estate. Very often dates were later additions, marking an alteration or new phase of construction in a pre-existing building. Initials might record a change of ownership, or often when they are in groups of three, celebrated a special event such as a marriage. Dated features come in a variety of forms. 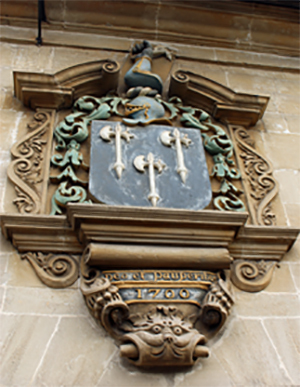 Datestones may be impressive and highly decorative, perhaps displaying a coat of arms or a statue. The more eagle-eyed might spot less obvious examples like a weathered inscription on a brick, high up in the wall. A few have been discovered hidden inside the house, on what was an originally an outside wall. Internal dates are less common but may be found on features such as fireplaces, cornices, woodwork, windows, doorways and even roof timbers. These features give valuable clues to a building’s evolution. They provide an intriguing route into family and local history. They raise important questions about the timing and the extent of reconstruction of much of our built environment, during centuries when proud assertions of individuality were fashionable. 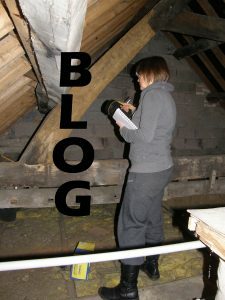 The Dated Features Project seeks to identify, record and photograph Wiltshire’s buildings with dated features, as well as the features themselves. This is of course a substantial task, so we are approaching it in phases. During the first phase, North Wiltshire and Old Town Swindon are being investigated. The approach is to work parish by parish, using the Historic England Lists to identify dated features. This is followed by fieldwork when they are photographed. Happily, the fieldwork also reveals plenty of non-listed features too, although in a more haphazard way. Apart from contributing to the Wiltshire Buildings Record’s archive, we hope the material may result in the publication of a booklet. This might incorporate a discussion of the incidence, significance and details of such features, supplemented by a gazetteer of photographs supported by local and family history research. Searching out and photographing those buildings in your local area which have not yet been ‘captured’. You will need a camera with a reasonable zoom lens as the features are often distant or eroded. We will provide guidance. 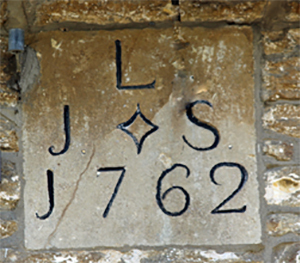 Documentary research into the identities and backgrounds of those people whose initials appear on datestones, as well as into the history of the building. Please let us know about dated features in your area. We will add them to our database and follow up to record them. Download a WBR Dated Features form here.